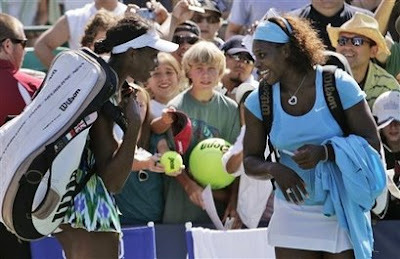 American sisters Venus and Serena Williams continued to be the ire of their doubles team opponents. On Wednesday they brought the hammer and nine aces down on Latvia's Lisa Dekmeijere and American Julie Ditty in a 6-1, 6-0 defeat. 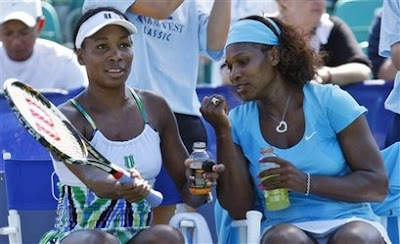 "I can't get a better partner," Serena said. "I just don't think so. She gets everything; she has a great volley, an incredible serve. It honestly doesn't get better than that." 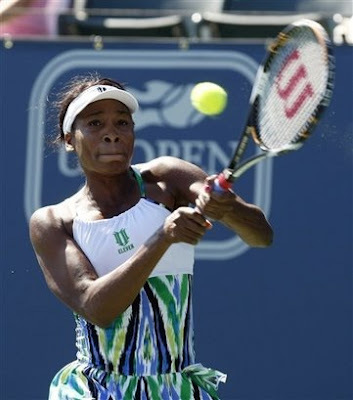 Venus said the pair has a covert mission already in the works when it comes to doubles play. "About a year ago we started to play more, trying to get ready for the Olympics," she said. "After that we kind of kept playing. We have this secret goal that I can't really talk about, but we have this goal, and once we started playing we started winning. You have to be in a little bit better shape and really healthy and willing to be a little more tired for your singles but it's a sacrifice we're willing to make."